Four years is a long time in the world of sports as players come and go; managers and coaches are hired, fired and rehired; and games are won and lost. But sometimes the more things change the more they stay the same, especially when it comes to Cleveland sports. Four years ago at this time, the Browns were embarking on yet another regime change. The Indians were meandering through another disappointing season. And the Cavs were facing the biggest decision (pardon our word choice) in franchise history as they were in a fight to retain the services of free agent LeBron James. Fast forward to now. The Tribe is stumbling through the season, currently sitting 6.5 games out of first place in the A.L. Central Division. The Browns are rebooting once again, with a new coach, a (mostly) new front office and a (probably) new quarterback. And the Cavs once again find themselves working overtime to acquire James in free agency. But this time it just feels different, especially for the Cavs. Four years ago, the Cavs had something to lose in James, the franchise’s answer to Jim Brown (only without a ring) and Bob Feller (only without a ring). The Cavs fired head coach Mike Brown and saw general manager Danny Ferry walk away, saw James walk out the door in free agency to Miami, endured a 26-game losing streak, suffered historic losses under head coach Byron Scott, fired Scott, rehired Mike Brown only to fire him a year later, and closed out the worst four-year stretch since Ted Stepien owned the team. Now? Things are definitely looking up for the Cavs (although not everyone would agree with that sentiment). Kyrie Irving recently signed a maximum contract, new head coach David Blatt brings a level of intrigue to the position, and they just added Andrew Wiggins as the No. 1 overall draft pick. (Unless they ship Wiggins to Minnesota as part of a rumored deal for Kevin Love, of course). Everything we just mentioned in the previous paragraph should be appealing to James, who can only make that collection of young talent even better. Even though he will be 30 on his next birthday and is entering his 12th season, he is still the best player in the league and will instantly make everyone around him better. He would also bring the Cavs back to relevancy again in the NBA, along with sellouts and the return of as many primetime games as the networks can schedule. More importantly, signing James once again makes the Cavs a contender in the Eastern Conference. 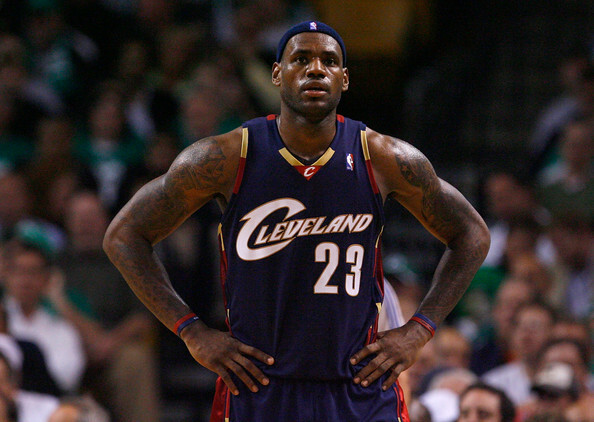 So while we’re obviously on board with James returning to the Cavs, the sense of dread if it doesn’t work out is not anywhere near where it was in the summer of 2010. Basically, you can’t miss what you don’t have, so if James returns to the Heat or works out a deal somewhere else, the Cavs won’t be as devastated as they were last time. They are better positioned as a team to move on without James, and while they won’t be title contenders this year (or maybe for a few more years), there most certainly will not be any long losing streaks or general dysfunction on the horizon. A lot has changed in the past four years for the Cavs. And if James’ attitude toward the franchise is among those changes, then the biggest change could be yet to come.